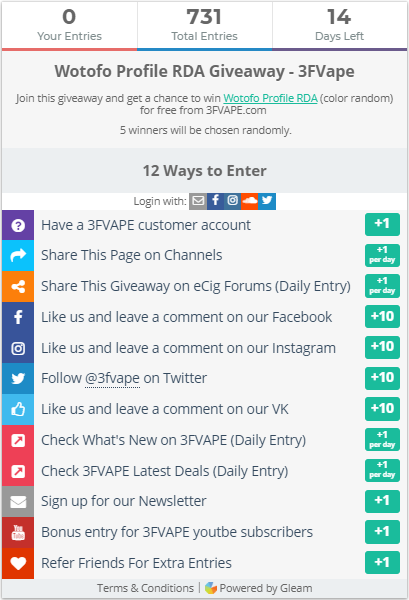 Want to win's a Wotofo Profile RDA for free? Enter the Wotofo Profile RDA Giveaway now >>> 5 winners will be chosen randomly. Designed by Wotofo and Mrjustright1, this RDA aims to free every single flavor in you juice to your taste sensation. It is the flavor profile interpreter for your juice. 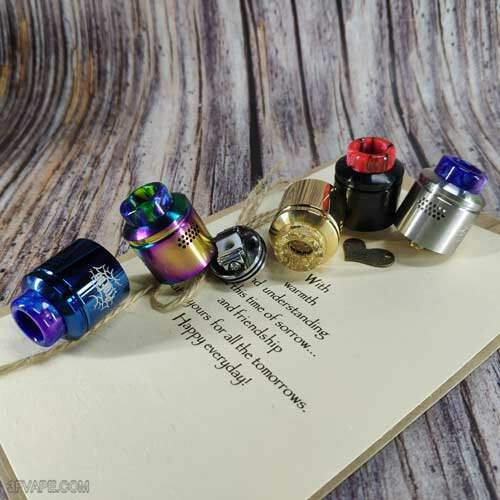 The authentic Wotofo Profile RDA is an innovative BF RDA that features unique clamp style dual post build deck, which is easy to switch between mesh and wire coils. 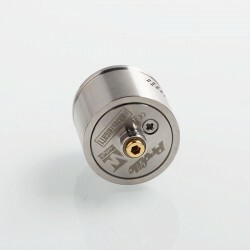 The RDA has a 24mm sleeve with multiple airholes for accurate airflow. It supports up to 30 puffs at 75W before needing to re-saturate the wick when using pancake wicking method. What’s more, this RDA supports both top refilling and bottom feeding. We also offer you a huge discount for this item, Original Price $32.99, Now Only $24.99. 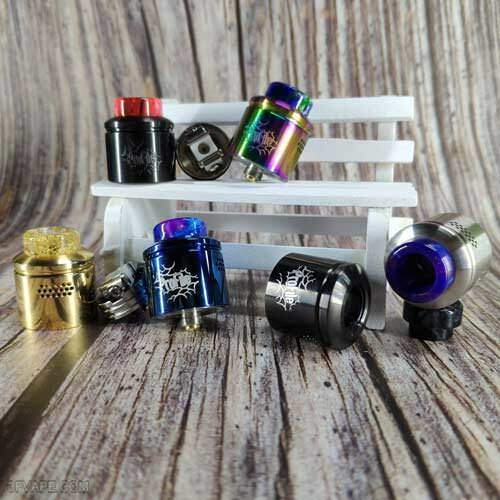 If you can not wait for have this item, you can also order the Wotofo Profile RDA directly on 3FVAPE. The Wotofo Profile RDA Giveaway is still underway. The Wotofo Profile RDA Giveaway is coming to an end, please take the time to participate. 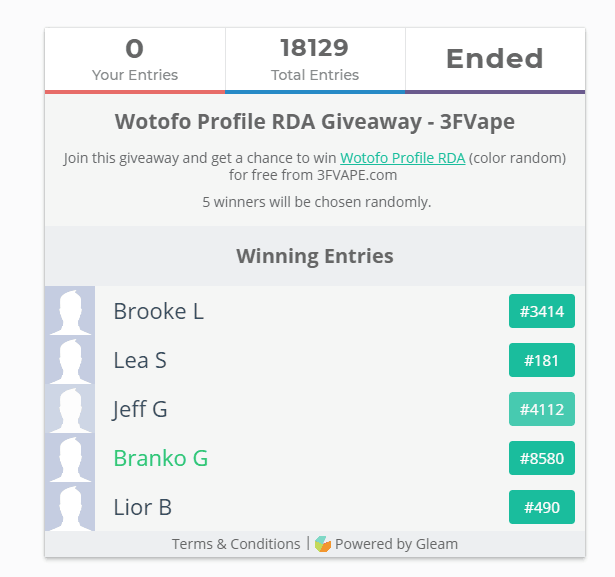 After two weeks of giveaway activities,the Wotofo Profile RDA Giveaway is finally comes to an end. It's a great honor to be here to publish the final result of the Wotofo Profile RDA giveaway.